FOSTER CITY, Calif., – August 14, 2018 – Qualys, Inc. (NASDAQ: QLYS), a pioneer and leading provider of cloud-based security and compliance solutions, today announced Qualys Consulting Edition, a comprehensive offering for consultants, security consulting organizations and managed service providers (MSPs) that brings them the power and scale of the Qualys Cloud Platform in an easy-to-deploy, easy-to-use and cost-effective solution. Qualys Consulting Edition delivers consultants, consulting firms and MSPs the ability to perform multiple ongoing vulnerability assessment engagements from a single, centralized and self-updating platform that allows them to consolidate their security stack for on-premises environments, endpoints and clouds, drastically reducing total cost of ownership (TCO). 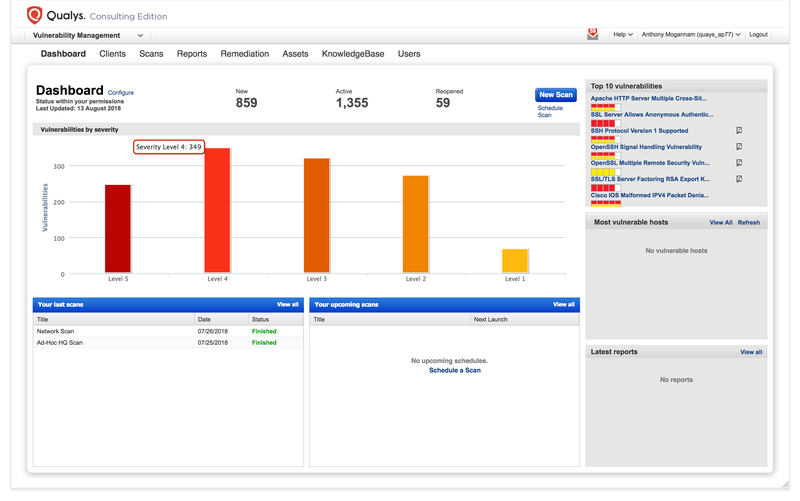 The new Qualys Consulting Edition offering also addresses issues created by scanning overlapping IPs, and provides out-of-the-box dynamic and fully customizable reporting and trending reports and dashboards. 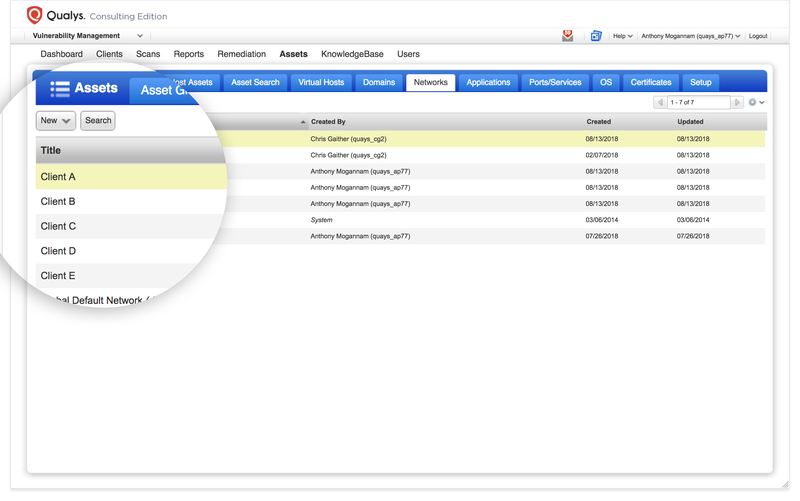 These features simplify the task of scanning a range of client assets by maintaining a high level of organization, which streamlines reporting functions, saving time without having to extract the information to create reports and drastically reducing the time required to perform security and compliance engagements. It also includes Qualys Cloud Agent support for real-time vulnerability management. In addition, it allows these security professionals to deliver customers the suite of Qualys’ free groundbreaking services such as CertView and CloudView, which enables them to track and monitor all their internet-facing digital certificates and multi-cloud assets at no additional cost. Qualys Consulting Edition delivers the power and scale of the Qualys Cloud Platform in an easy-to-deploy, easy-to-use and cost-effective solution. A newly introduced multi-tenant Networks tab allows data segmentation between clients. 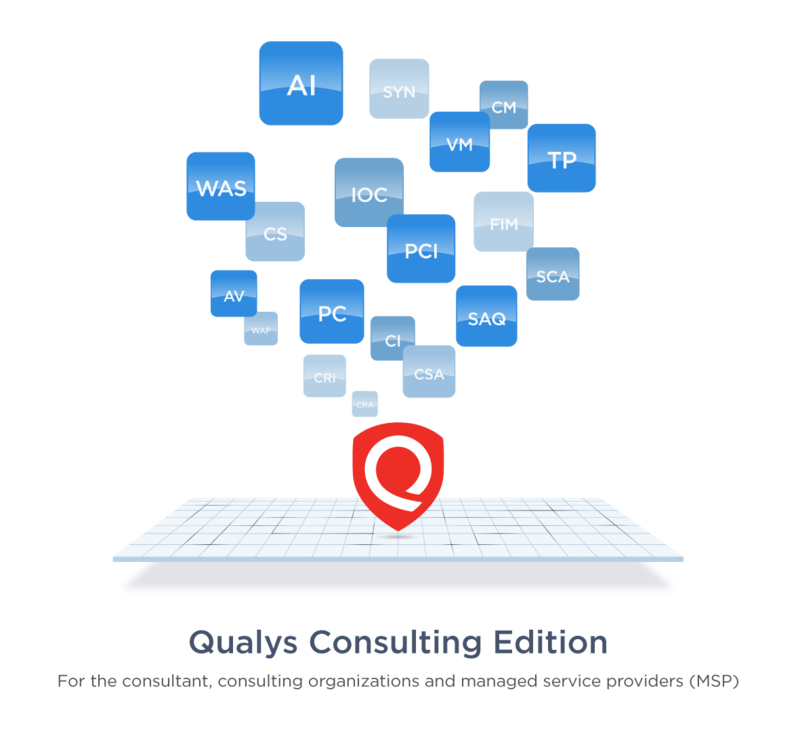 Qualys Consulting Edition will be available for consultants, consulting organizations and MSPs by the end of August.